Alexander Goldstein's career unusually combines two seemingly different areas of creativity. He is a notable music composer and arranger to some and an award-winning documentary filmmaker to others. Born in Moscow, USSR and now residing in Florida, having spent many years in NYC, Alexander received Masters Degree in Music before becoming involved in television production and broadcasting and branching into cinematography. Never keeping idle, Alexander continues to pursue both music and film as two equally important passions in his life. Winner of many international awards for music scores (Alexander scored 27 feature films and hundreds of documentaries), he is a two-time Telly Award Winner for his Naples, Florida recent documentary works. Together with Marina Berkovich, Alexander also is the Hermes Platinum Award Winner for original song "Because Someone Believed in Me". While in Florida, Alexander composed a Suite for Clarinet and String Orchestra, "Rotissimo", after film music of the immortal Italian film composer Nino Rota and "Trio on the Roof" based on Jerry Bock's famous musical "Fiddler on the Roof", currently performed at various concert and film festival venues. Marina Berkovich, scriptwriter, was born in Kiev, but has lived in the USA most of her life. 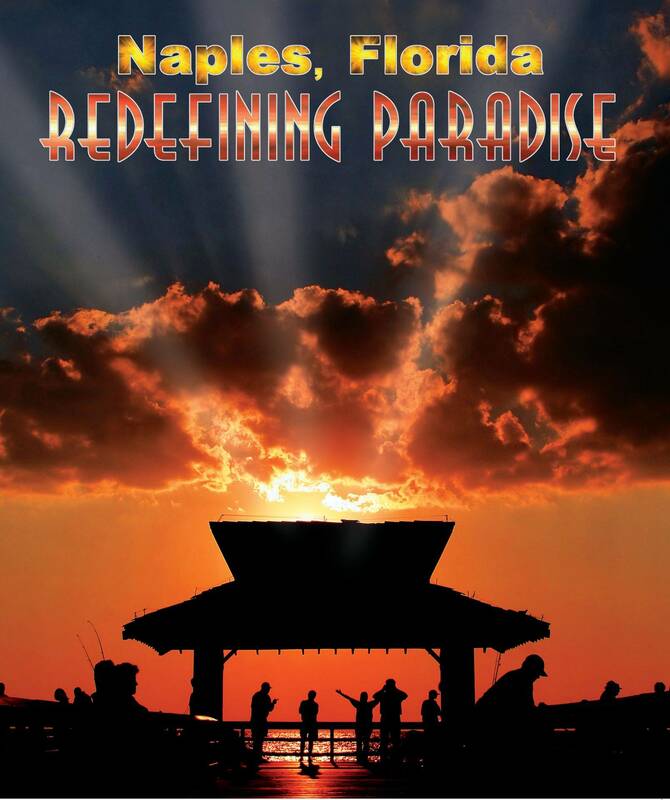 She says that "discovering" Naples was love at first site and the script of Naples Florida, REDEFINING PARADISE is a testament to this ongoing love affair between the writer and her new city. Marina most recent book is "My Life through My Dresses - Growing Up Socialist" (2018) He other writing work is in translations, interviews, biographies, poetry and fiction. Roger Weatherburn Baker, narrator, is an international feature writer, who began his career as a reporter with the Financial Times in London and followed with 30 years in international corporate communication with IBM. His work has earned such esteemed awards as a Gold Quill Award, a Gabriel Award, a Gold Medal at the NY International Film and TV Festival and a White House Award. In recent years, Roger W. Baker has generously volunteered his time and expertise to arts organizations in Naples. He has served on the boards of the United Arts Council, ArtsNaples, and Gulfshore Playhouse. Currently Roger serves on the board of the Opera Naples and The von Liebig Art Center/Naples Art Association and whole-heartedly believes in advancing the City of Naples as a cultural destination.